If you have bought a modern home but your craving a classic style, there are easy ways to incorporate a more traditional feel to your property. It can be tricky getting the combination right, but these suggestions should hopefully give you some inspiration. Sadly, when we bought our new home a lot of the period features had been damaged through lack of maintenance. It wasn’t a private home for the previous occupiers. They weren’t invested in its upkeep the same. Somehow it seemed easier to make it modern instead. We didn’t have much to salvage, the elegant wood panelling had to be removed due to water damage and woodworm, the impressive tiled entrance was cracked and worn, and as for the beautiful ceiling roses someone had thought it was a good idea to cram them with big ugly lights that dominated them completely! Although maybe we should have tried to restore it more sympathetically. You don’t have to spend a fortune going down that route either. However, despite there are lots of articles about making homes more modern but much fewer about making a home more traditional. I think that was our problem, we didn’t feel at the time we had enough guidance to see us through the changes. But five years in this renovation and only now I have realised this project could have been approached quite differently. If you want a timeless design a column radiator is a good choice. The traditional style works perfectly in a home that you want to infuse with character. They add more authenticity to the home, quickly giving them that vintage impression. Intricate moulding is key when your hoping to make a home more traditional. In our newly plastered rooms the ceiling looks unfinished without that stylish touch. The more ornate the better usually, its all about signs of opulence and grandness. I think we were most sad to see the wood panelling go. Our neighbours had a shock when they saw it leave the house thinking we were choosing to rip out the original features. As it was, we had no such choice it was damaged beyond repair. Wood panelling really can add grandeur to rooms and our Jacobean-style panelling is still very much missed. We really need to reinstate the fireplace. It is one focal point missing from our reception rooms. 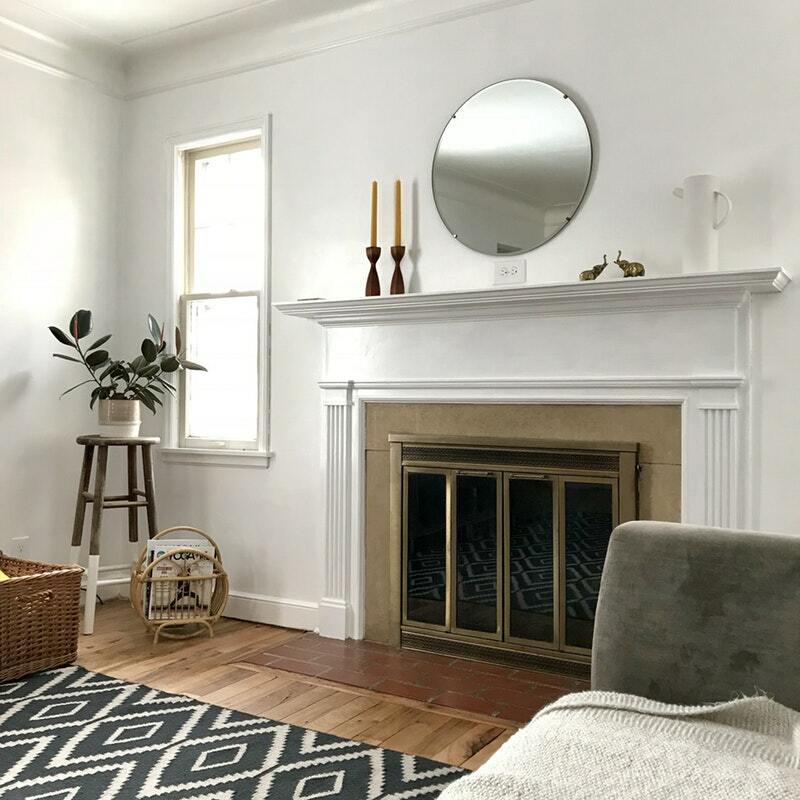 If you want to make your interiors more traditional you really need to think about the mantel and how that fits in with the rest of the room. Looking around our house I do wonder how different it would look now if I had gone down that path!